What do you get when a renowned tyre manufacturer teams up with a distinguished wellington boot maker? Apparently a range of wellingtons designed specifically for farming. The Ceres boot collection is the latest addition to Le Chameau’s range, produced in collaboration with Michelin, which has developed a sole based on its Ultraflex tyre technology. From opening the box, we were impressed with the boots. Their slick, simple design really looks fit for purpose and those chunky, tractor tyre-inspired soles give the impression they could provide some serious grip. All the frills of Le Chameau’s more expensive boots, such as buckles and neoprene lining, have been done away with to leave a plain, lightweight, flexible boot. That is not to say they have lost any comfort or protection. The cotton lining, coupled with the natural rubber provides plenty of insulation against the elements - and they are not too hot in summer either. Depending on your taste, we were not sure the ‘V’ pattern on the front, which denotes the tractor-tread sole, is necessary. Inside, a striking, but smart, Burberry-style pattern is woven into the lining. 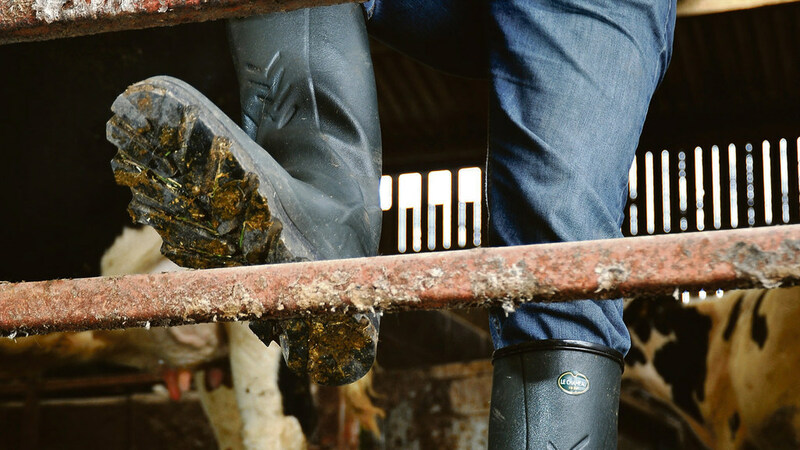 In true Le Chameau style, the boots are a snug, but comfortable fit, flexing with your every move. However, getting boiler suit-cladded legs into them does require some shoe-horning. They could do with being a bit more generous for agriculture. Having used them for six months in just about every environment imaginable, from tractor driving to handling livestock, they have proved quite capable. Even on slippery concrete, they cling on well. Also, having no buckles to catch on stuff is a bonus and they remain comfortable for long periods of time. So far, they seem to be lasting well too. Ceres boots currently retail at £95. When compared to other brands of the same price bracket, it does seem quite steep. However, perhaps less is more. Where others have tried to offer too many bells and whistles at a competitive price, Le Chameau seems to have focused on quality and farming use. Expect neoprene-lined versions to follow soon.